ELIWAGAR are an Epic Norse Heathen Folk Metal band hailing from Norway. Most of their music is rooted in Traditional Norse Folk Music, while much of the later Art has a harder edge of Folk Metal. “Eliwagar was born from an ancient call to my Hyperborean roots in the December of 2006 at the winter solstice. 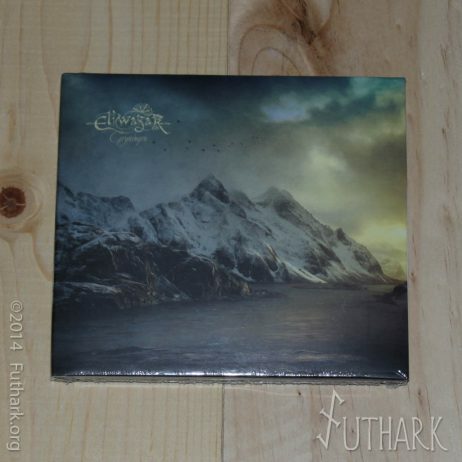 Eliwagar’s lyrics are inspired by Norwegian Folklore and a lifestyle in harmony with nature. Me and my husband Bjørn Dahl, who is the guitarist of Eliwagar since 2010, live on a farm in the Norwegian mountains where our aim is to be as close as possible to self sufficiency. We live our life in harmony with the seasons, in harmony with ourselves and with a love for the earth and nature, this provides perfect inspiration. Both Bjørn and I had to fight to get to where we are today, for our dreams and against whoever tried to take us down for being who we are. We have never felt a part of this world ruled by Money and Materalism, Hypocrisy and False Values; where the ancient cultures are dying. Eliwagar’s philosophy is to find yourself deep within your soul and embrace this Ancestral Fire within you that lightens up your way through the darkness and gives you strength. In ancient Scandinavia, people used to live in peace and unity, they had pride in who they were, and loved their family and folk. There is a shadow that has been cast over Heathenism connecting it with savagery, violence and hate, this is a myth that we wish to dispel. “Heathen” means the light around the home for people living in the countryside. Embracing life and nature and having a connection with the spiritual side of the world is what Eliwagar represents. 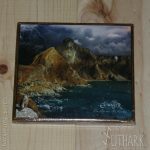 -The first Pagan Folk Rock/Metal cd of Eliwagar! -Deluxe Digipack: 20 Page Booklet, 6 panels, including 2 stickers and an A3 poster.